Kim Jung Gi / SuperAni | Kim Jung Gi joins forces with Blizzard! 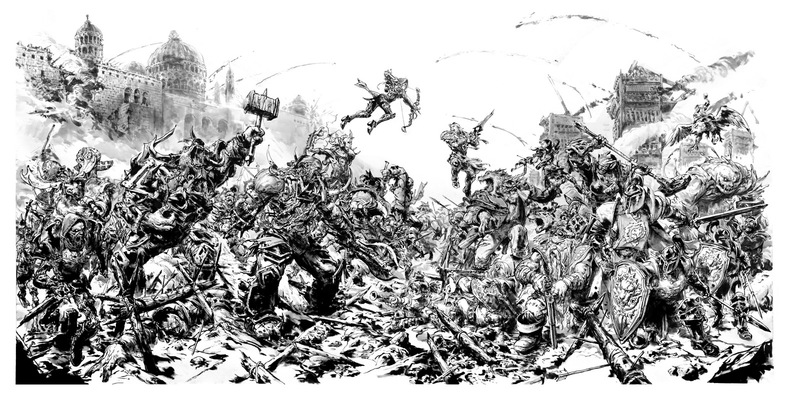 Kim Jung Gi joins forces with Blizzard! Blizzard recently released a timelapse video of Kim Jung Gi drawing a large painting of “The Siege of Lordaeron”, from the video game Warcraft. “The real-life painting is massive — it easily spans several feet in height and double that in width. But there’s also a 1600×800 version available courtesy of Blizzard’s Korean World of Warcraft website. It’s definitely worth checking out in its full glory, and that applies even more so to the timelapse video. It’s mesmerizing to watch the work come to life, and it only becomes more incredible when the video occasionally slows down to show Kim Jung Gi’s individual brush strokes and shading techniques. You can watch the timelapse below or via YouTube.